Roberto di Cosmo, Director of Software Heritage, who I shared with a round table this morning at the World Summit on the Information Society 2017 (WSIS), told me that there are over 8.800 programming languages in the World. Most of them are now unknown, forgotten or lost. 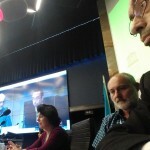 Natasa Milic-Frayling, Professor at the University of Nottingham, at the same round table, told us about the difference between caring about the languages, coding a software application and the executable, compiled version of that very same application. 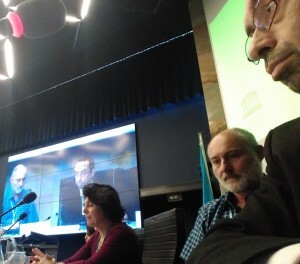 All of us, along with Jonas Öberg, Executive Director of Free Software Foundation Europe, were invited by David Storti, from Knowledge Societies Division at UNESCO, to discuss about software as a key to access to knowledge. My colleagues were enthusiastic presenting their initiatives, including the Persist Programme. In turn, I presented three simple, strong statements: 1) Software is a living being. It is born (designers), grows (versions), is nurtured (users), sometimes provides children (spin-offs) and, eventually, it dies (the market). Why is it forgotten or simply thrown away? It served the purpose and deserves some memory. 2) Software is culture, a way of expression. It is not just a tool, but something comparable to a music score where a musician can read and write about their feelings. A regular user listens to the output and enjoys (sometimes), however they do not need to know how to read and write. Listened music is like a compiled software programme. If we preserve scores, books, and other media and cultural products, why not to do the same with software?. And 3) software is the glue to modern life. Indeed, it is the middle layer that connects mobiles, cars, planes, ATMs, TVs, printers, robotics, the fridge in my kitchen, the online supermarket and almost everything else. Software makes our lives as they are. Why cannot acknowledge its unique value? It seems that the human being is ungrateful. Like in a soccer game, we only pay attention to the referee when (s)he stands out for any reason to blame. If nothing irregular or annoying happens, the referee remains invisible. The same happens with the software. We can pay attention only when software fails. And software needs care. We can understand our current moment only if we know and understand our history and the track record. This statement also applies to software (and hardware, for what is worth). Software preservation is a must if we do not want to waste and forget a key part of our Society.